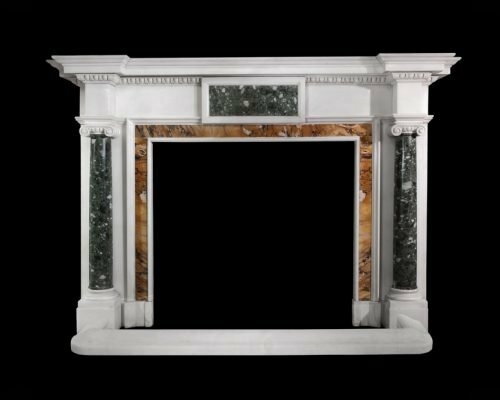 An architectural 19th C Georgian style chimneypiece in Italian Staturio Marble, with solid verdi antico marble columns topped with ionic capitals, convent Siena ingrounds. 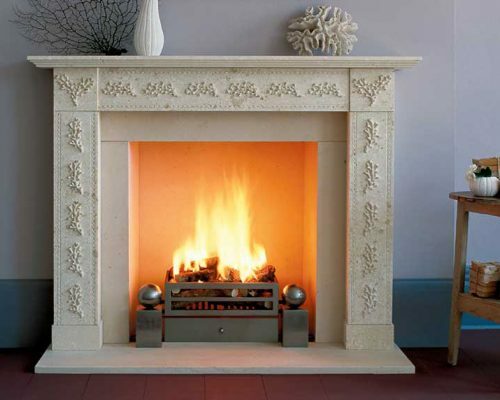 A Cornice shelf is lifted with an egg and dart bedmold. 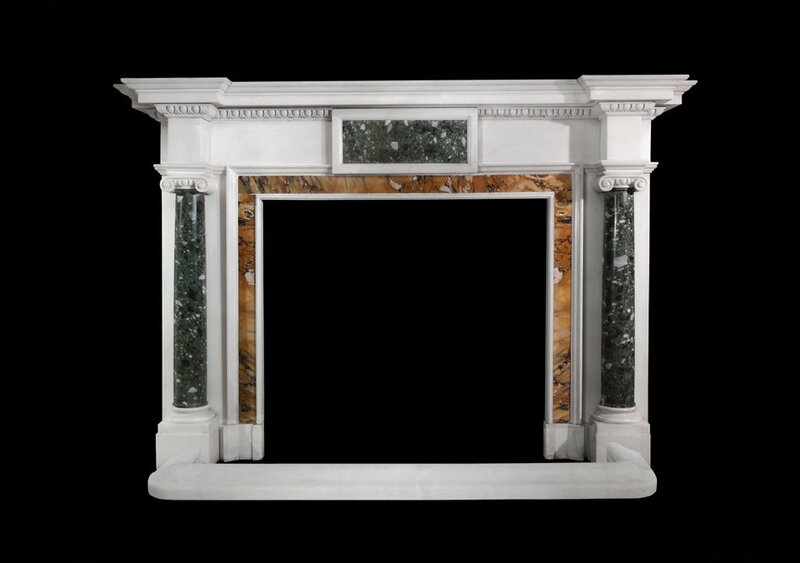 An architectural 19th C Georgian style chimneypiece in Italian Staturio Marble, with solid verdi antico marble columns topped with ionic capitals, convent Siena ingrounds.